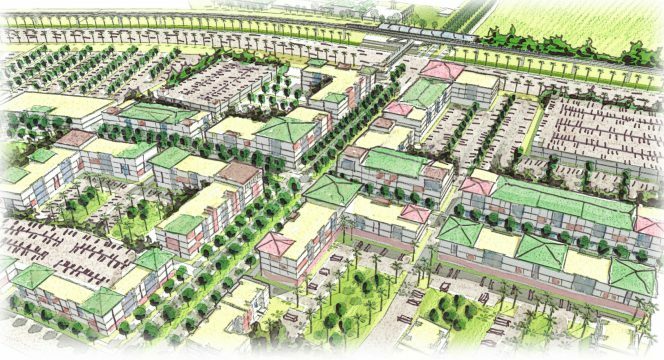 The East Kapolei Neighborhood TOD Plan presents a unique opportunity to create a sustainable, responsible and integrated community for Oahu. Located along the proposed transit line that will connect downtown Honolulu with the East Kapolei region, Ho’opili, UHWO and East Kapolei Stations are each envisioned as transit-oriented development sites that provide a series of transportation options for residents, workers and visitors alike. 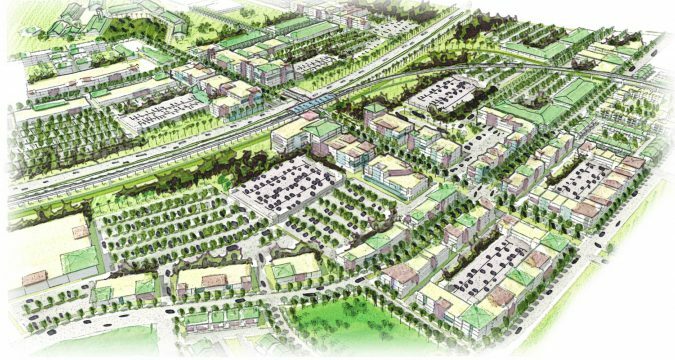 All three are envisioned as compact, pedestrian friendly environments that provide housing, employment and recreational opportunities. Each plan has been developed through an inclusive community-based planning effort to ensure that the needs of the area stakeholders have been integrated into the Final Alternative. A Greenway runs below the transit line that will provide paths, natural elements and connectivity between the three stations. Parks and open space are also located within walking distance to the green way to continue the connection of public, open green space. 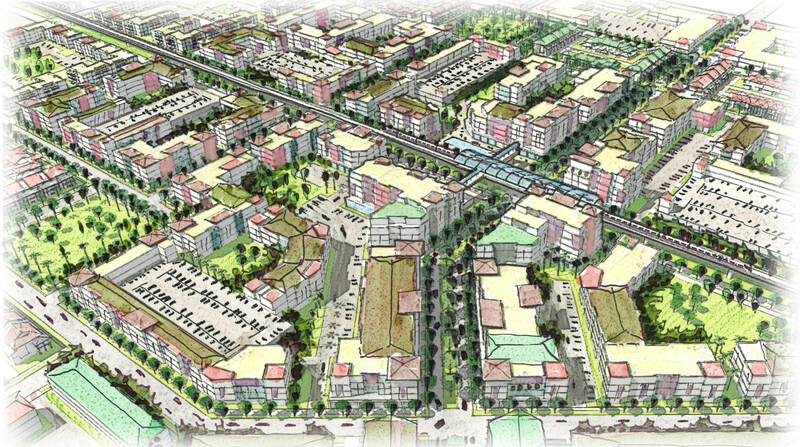 This plays an important role in the Plan as it allows for community gathering and community identity and fosters people’s connection to the surrounding natural areas of Oahu which is uniquely Hawaii.